Mobile Games Award-winning publisher Flaregames has partnered with Hamburg studio Sviper on its Flare Accelerator programme. Sviper is working on new real-time 1v1 puzzle duel title Super Spell Heroes. Players are tasked with matching spells to damage their opponent or fend off attacks themselves. The studio said it wants to combine the competitiveness of classic fighting games with the accessible nature of mobile control schemes. Super Spell Heroes will be released globally on the App Store and Google Play on August 20th. “Super Spell Heroes is a genre-breaking game with exactly the type of high quality presentation and deeply engaging gameplay we look for as a publisher,” said Flaregames executive producer Keith Ainslie. “As for Sviper, they are a fresh thinking but highly experienced team of world-class developers who understand what consumers want from mobile games in 2018. 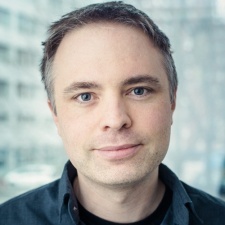 Sviper co-founder Mark Bucholz (pictured, main) added: “With Super Spell Heroes, we believe we’ve developed one of the most accessible real-time battle games out there. Sviper was founded in 2016 by ex-InnoGames, Bigpoint and Goodgame staff. It previously worked on Wild City Rush: Urban Jungle Adventure. Late last year the developer secured investment from three industry investors, Flaregames CEO Klaas Kersting, Agnitio Capital MD Shum Singh and Babil Games CEO MJ Fahmi.